LAND IS FOREVER | Wildlife Estates Plenary session – September 4th to 5th, 2018, Buckeburg Palace, Lower Saxony, Germany. 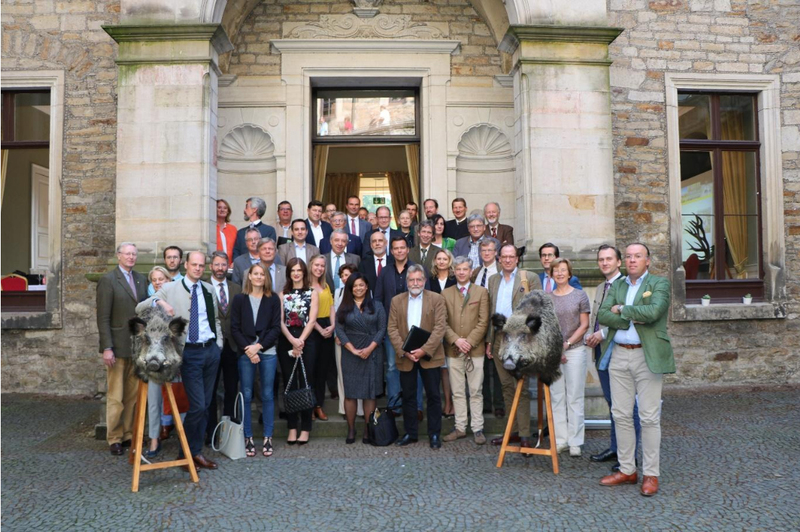 05 Sep Wildlife Estates Plenary session – September 4th to 5th, 2018, Buckeburg Palace, Lower Saxony, Germany. Land Is For Ever was presented during the yearly Wildlife Estates Plenary Session in the Buckeburg Palace, Germany. An expert panel discussed existing and innovative compensation possibilities for private nature conservation. HazelWONG, Director of The Nature Conservancy’s Conservation Campaigns Team. Biodiversity has a global loss, though there is some recovery in Europe. Nature protection cannot be undertaken just imposing rules; it is necessary to involve as many stakeholders as possible. Landowners can offer biodiversity to the whole society (including themselves), for which they should be compensated. So far, the network Natura 2000 is challenging the landowners and foresters in making a proper income, given that the regulations from the former come into conflict with the activities which are performed by the latter. Ms. Hazel Wong -The Nature Conservancy (TNC)- presented the vision and working methodology of TNC in the USA, where 85% species exist thanks to private lands. Here, NGOs and landowners sign contracts which allows for conservation together with private activities.